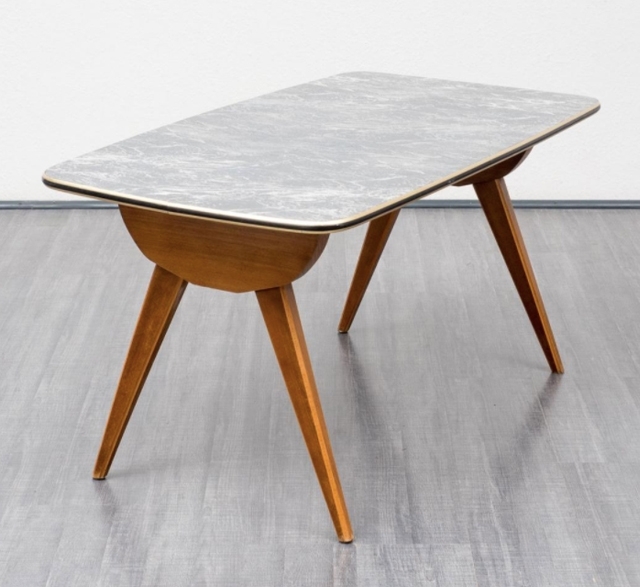 This classic 1950s vintage coffee table features a solid wood frame with scissor legs and a marble-like Resopal top in black and white. The top has a brass coloured edge. Dimensions: 115 x 65 x 59cm.